Hi Morning! It's mid-week again and I am sure everyone is looking forward to weekend to have some family time or gathering with friends and etc. Here I have four different design of Bento Meals which I hope it would bring in some ideas for you while preparing your daily meal for your kids or loved ones. 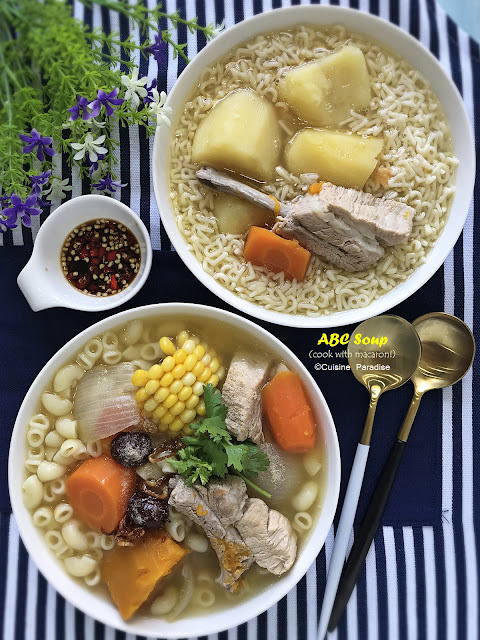 Also two days back while flipping through the iWeekly(I周刊) and 8Days, I happen to see an interesting advertisement on i-Love Mama Healthy Meal Contest which I would like to share with you. But before that, let me run through some of the bento meals which I have made for my boy. Cheese and milk are important for growing up kids to provide them with calcium that needs for growing bones and teeth. Furthermore cheese is also a source of protein, vitamins and minerals which are essential for growing so it would be good to add in some cheese while preparing your snacks or dishes in a way to encourage your your kid(s) to eat them. For lunch I made a lovely garden theme using sweetcorn for the flowers and assemble the garden with mushrooms and butterfly from the ingredients in the stir-fry choy sum. With this lovely layout it actually turns the "boring" green vegetables into something artistic which I am sure your kid(s) will be delighted to try them out. My boy who loves underwater world creatures always get excited when he see an ocean theme deign for his lunchbox. Here by adding some fish and star cutout carrots to my stir-fry broccoli with mushroom, I managed to assemble something that he likes with sausage octopus and baked cheesy salmon to complete the healthy meal. 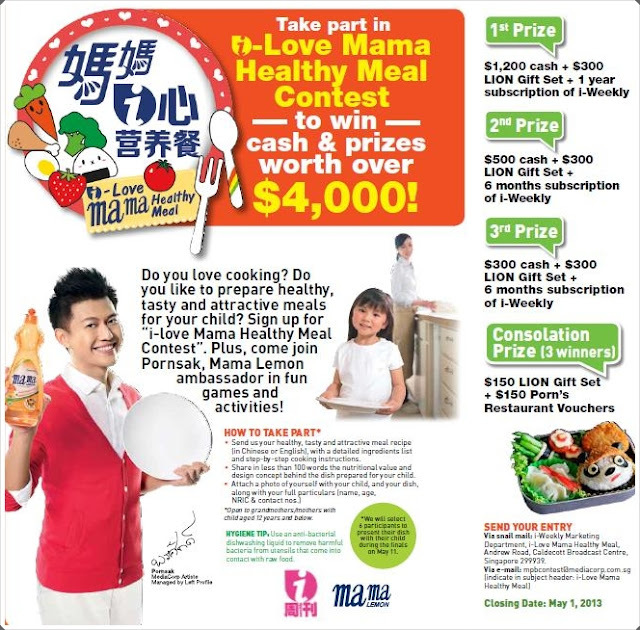 So if you love to cook, have creative ideas to assemble your healthy meal, perhaps you could consider to join this i-Love Mama Healthy Meal contest and form a team with either your kid or grandchildren (12 years and below). 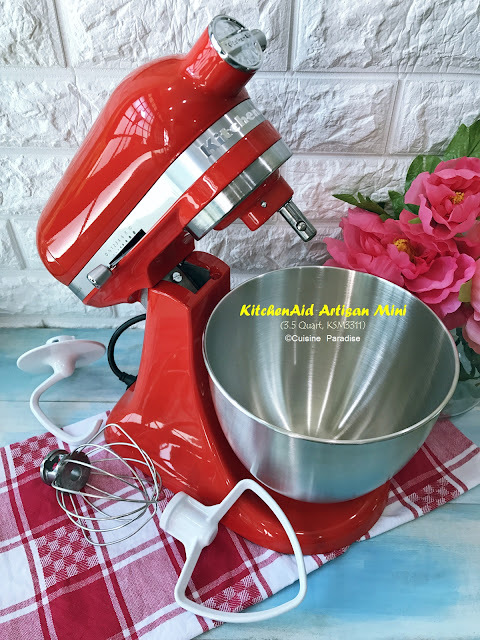 Come friends, let's try our luck and send in our healthy meal recipe :) Who knows any of you might be one of the lucky winner to win the attractive prizes shown above! 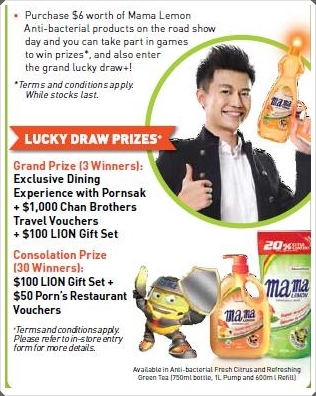 On top of the cooking demonstrations, you could also take part in games to win prizes or enter the grand lucky drawn when you purchased S$6.00 worth of Mama Lemon Anti-bacterial products on the road shows. Lovely contest.. Good luck to participants! You make AWESOME bento boxes! I hope you will pin your bentos to my Bento Pinterest boards and increase the followers together! Ellena, I wanna to have your bento for lunch too!